The three internationally acclaimed mentors will enable you to reframe your work with the goal of advancing your practice to levels you may not have contemplated. 3 perspectives. intensive and constructive critique. one-on-ones. group sessions. 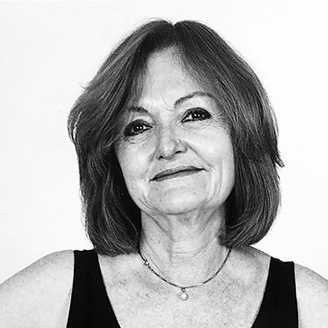 Elisabeth Biondi was the Visuals Editor of The New Yorker for 15 years until she left in 2011 to work as an independent curator, writer and teacher. She curated Subjective/Objective and Under the Bridge for the New York PhotoFestival 2011, and New Yorker Fiction/Real Photography at Steven Kasher Gallery in Chelsea. In the fall of 2011 her exhibition Beyond Words: Photography in the New Yorker was the season’s opening show at the Howard Greenberg Gallery in New York. An expanded version traveled to the Ullens Center in Beijing in 2012. Her exhibition Widely Different: New York City Panoramas was on view at the Seaport Museum, New York in 2012. She was a photography consultant for Stern magazine, and teaches at the MFA Photography, Video and Related Media Department at the School of Visual Arts, and is a Senior Thesis Adviser. Her column Portfolio is published in Photograph magazine. Most recently she was a juror for the World Press Photography Awards and the Sony World Photography Awards, in addition to numerous national and international photography juries. She advises many up-and-coming photographers and edits their work. Elisabeth Biondi joined The New Yorker in 1996, shortly after photography was introduced to the magazine. As Visuals Editor she helped shape the look of the publication by establishing a group of staff photographers, commissioning both masters and emerging talent. She built the magazine’s reputation for its use of photography, for which it received numerous awards, including two National Magazine Awards. Born and educated in Germany, Elisabeth started working with photographers when Geo magazine, often described as a more contemporary and controversial version of National Geographic, launched in the US. The magazine won many awards for photography and design. Subsequently she moved to Vanity Fair, and as Director of Photography, focused on lively, witty portraiture – which became an important element of the magazine’s success. After seven years at Vanity Fair, Elisabeth returned to Germany to work for Stern, one of Germany’s largest newsweeklies. As Head of the Photography Department, she explored the fast-paced world of news and reportage photography, and worked with celebrated photographers all around the world. She returned to New York in 1996 to become Visuals Editor of The New Yorker. Lyle Rexer is an internationally recognized curator and critic. 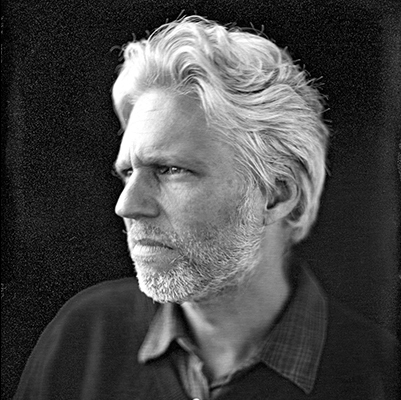 Educated at Columbia, and at Oxford University where he was a Rhodes Scholar, he is the author of several books on art and photography, including The Edge of Vision: The Rise of Abstraction in Photography (2009) and Photography’s Antiquarian Avant Garde: The New Wave in Old Processes (2002). In addition, Lyle has published hundreds of catalogue essays and articles on art, architecture, and photography, contributing to publications such as The New York Times, Art in America, Aperture, Art on Paper, Parkett, BOMB, Photograph magazine and DAMn. Lyle regularly lectures at the Metropolitan Museum and the Whitney Museum of American Art in New York and the Institut Valencià d’Art Modern in Spain. As a curator, he has organized exhibitions in the United States and internationally, most recently The Edge of Vision, a selection of contemporary abstract photography. He teaches in both the undergraduate and graduate photography programs at the School of Visual Arts and is a columnist for Photograph magazine. Fougeron was born in Paris and studied at LFNY, l’Institut d’Études Politiques de Paris, Wellesley College and the International Center of Photography. 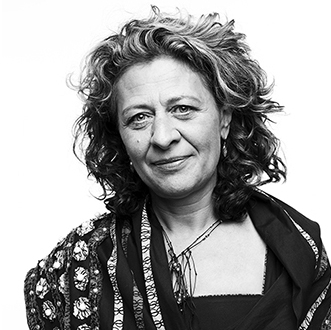 She has been living in New York since 1996 and working as a photographer since 2006 when she graduated from ICP’s General Studies program – having turned to photography after a successful career as a Creative Director in the fragrance industry where she was the ‘nose of the noses’ of 20 world-class perfumers. Fougeron’s award-winning fine art project Teen Tribe offers an intimate portrait of the lives of her two adolescent sons and their group of friends. Fougeron has mounted solo shows in Los Angeles, New York and Philadelphia and her work has been exhibited internationally in China, France, Italy, South Korea, and Switzerland. This work was exhibited at The Gallery at Hermès in NY in 2013 and is held in major collections including the Museum of Fine Arts in Houston. The Philadelphia Museum of Art and The Bronx Museum of the Arts. The publication by Steidl of Teen Tribe is forthcoming. Fougeron’s artistic document, The South Bronx Trades, is a revelation of the immense diversity of skills present in the South Bronx. The work was exhibited in a solo show at The Bronx Museum of The Arts in 2016. Fougeron is on the faculty of the International Center of Photography and has been a guest artist and teacher at Pratt Institute, New York University, CCNY and SVA. She was a Yaddo artist in residence in 2016. Fougeron is also the founder of The Photography Master Retreat. Interview by Peggy Roalf in Design Arts Daily (AI-AP): Martine Fougeron: Teen Tribe at Hermès. When I arrived, all I knew was that my work was not where I wanted it to be. It was the frightening moment of shifting that finally freed an amazing amount of creative energy within me. The biggest drawback to the digital world is that you no longer bump into peers and colleagues at the lab or supply store. So, for me, the exchange of ideas with the mentors and participants was special. Spending a week with a group of creative professionals, bonding with everyone through critique and exchange of ideas, has taken my work in different, more fruitful direction.